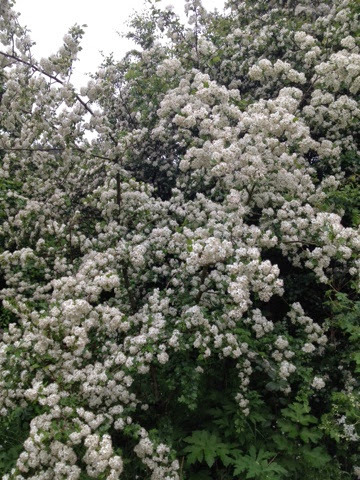 This year seems particularly good for Hawthorn blossom. The cycle tracks near Bear Park at Durham are lined with beautiful flowers. Spotted this while out for a bike ride on the disused railway near Waskerley. 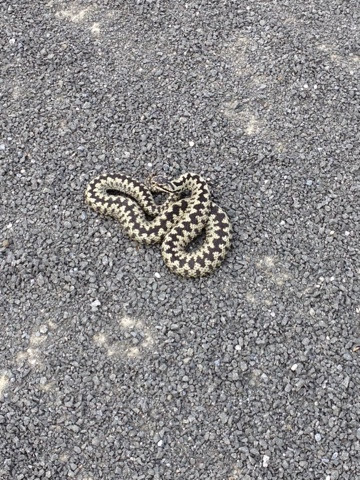 It was sunbathing in the middle of the path. Had an excellent walk round Tunstall Reservoir this morning. Saw lots of birds including Redstart, Pied Flycatcher, Great Crested Grebe, Little Grebe and a group of 20 Greylag Geese with 60 goslings in tow. Also heard a Cuckoo, Tawny Owl and lots of Willow Warblers.